What comes in your mind when you think of Shimla’s good? Expensive restaurants? Old regular food? But not anymore. I am here to guide you about the food served in Shimla which is both tasty and affordable and also the ambience provided by the place is great in itself. Wanna join? 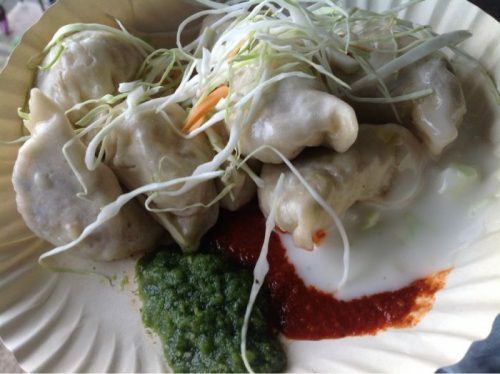 So here are 10 places in Shimla which have amazing food but are not known. Yes, this place is truly a paradise for the Chinese lovers. Situated on the lower mall down Sher-i-Punjab, this place has more than you had thought. It is not a big place but the food they serve is amazing, they serve chowmein, momos, kurkeges and fried momos. You will never regret going to this paradise. Nature lover? This place is for you. With perfect natural ambience and great food here the buddies cafe gives you peace and satisfaction. Situated on the forest road of Navbhar you’ll enjoy everything that they have. From affordable menu to great food and long hours of silence with loved one everything would be at one place. This place is a lit, situated in Navbhar chowk, he is quite popular and is truly magical. 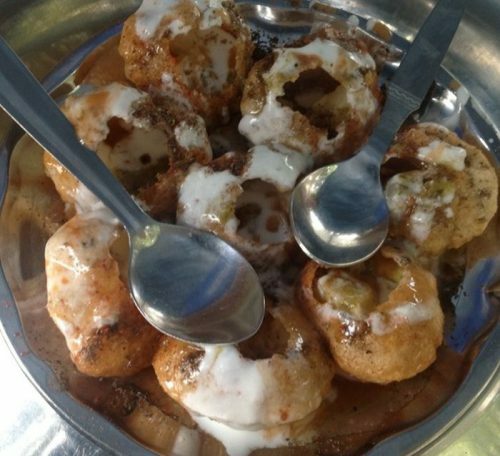 Gol gappe, chat papdi,tikki, hot dog, burger evrything tastes fantastic. Its a sin to leave the chat vala in the area. I have eaten food at this place since childhood and over the years it has been same. So try it out. Yes, we do have a F.R.I.E.N.D.S themed cafe in Shimla. Though it is a new addition in Shimla still has made its name. Quiet and lone place with fresh air right from the historic Gaiety Theatre, this place will make you happy. Tired shopping on the mall road head here and have amazing food. The staff is hospitable and the food is great. Especially the hide and seek shake must try. Past Mall Road lift and Indira Gandhi Sports Complex. Like gigs? Classic cafes? Then head here. Shimla times though in a small time has become one of the most liked cafes and is always on my bucket list when I visit Shimla’s Mall Road past the lift and Indira Gandhi Sports Complex. Not just the food but the ambience attracts me to this place. The view of whole of Shimla from the open air tables is what makes me want to sit there for eternity. The menu is regular and the prices are okay not too high or not to low.Also along with the cafe you have a look at was museum in Shimla. Yes people we do have one. This place is situated right in the middle of Shimla in Middle Bazar and is always full. Vegan? Head here, you’ll get the best Veg food in the town in here. Down the staircase from Baaljees head to middle bazar and move towards your left.With lots of spices and love they serve you with utmost sincerity and with lots of love. They have all the vegan dishes on their menu which are averaged price and affordable. Now this place is always full because the ambience is such. Every month they have a separate theme for the acfe and lots of props to get clicked with. And food is always great be it Singaporean Chowmein, Machurian or Shahi Paneer or Pasta, everything tastes wonderful. Situated in middle bazar you can take the Baaljees staircase down to the middle bazar to get to this place. first floor opposite to the Municipal Corporation Building. True to its name hideout cafe is one auchbplace where you can find solace and can enjoy yourself to a great extent. The food is nice with nice music and with a humble view of the mall road. You’ll get this place on the mall itself, first floor opposite to the Municipal Corporation Building. The latest addition to Shimla’s long list of cafes is the Book Cafe, situated near the takka bench on the way to Jakhu Temple. The most amazing thing is that this cafe is run by the the jail inmates and the food served here is made in the Kandaghat and Kaithu jail. But I must assure you that the food served is of top quality and for reading your favorite book yes, this is the perfect place. It can be termed as the books and brew of Shimla. Where you can get your brew and grab your book. Located in middle bazar take the Baaljees staircase, stand midway and walk towards your left. Well if you want to explore the real Shimla then, pamper your taste buds with this traditional restaurant which serves authentic Himachali Food and seriously of once you’ll visit in here you’ll fall in love with this place. Its worth it. From Mandiyali Sham to Kangri Sham and to the humble Siddu you’ll get everything here. Located in middle bazar take the Baaljees staircase, stand midway and walk towards your left you’ll get your destination. Do try if you’re interested in exploring authentic Shimla. So these were some eating joints of Shimla which are not known, but yes they are delightful. You should try it once when you visit Shimla, buddies cafe and the chat vala are quite near to each other go there and enjoy your food. Also Shimla cafe should be visited in the evening the time when it looks great. And yes Pizza.com is a must also while going to Jakhu try Book Cafe as well when you’re interested in a read and calm surrounding. Next time whenever you go to Shimla visit these amazing food joints for all new experience.